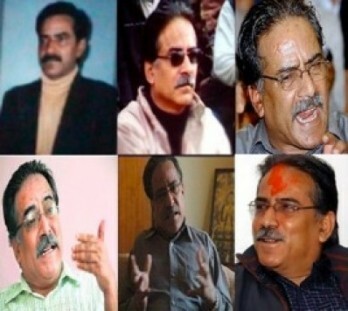 A Maoist analysis of Nepali revisionism led by Prachanda. At the occasion of the 10th birthday of People’s War initiation in Nepal, Prachanda granted an interview to the reactionary newspaper “The Hindu”, which published it on February 10. This “development” consists of the conceptions that the guidance by the sole Communist Party must be abolished and that Socialism must yield the place to Democracy. Let’s study them. 1. 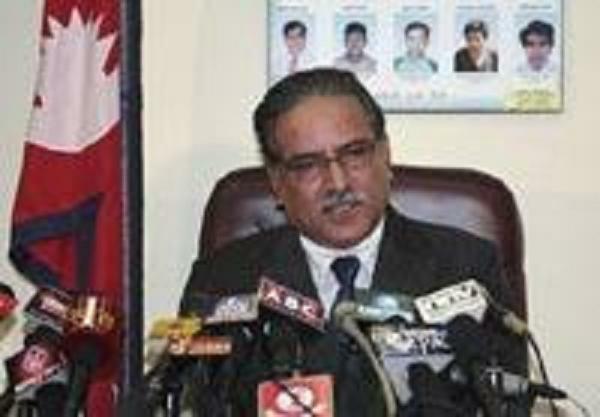 According to Prachanda, the Communist Party does not have to lead and should compete with the other political parties. “We want to analyse the experience of revolution and counter-revolution in the 20th century on a new basis. Three years ago we took a decision in which we said how are we going to develop democracy is the key question in the 21st century. This meant the negative and positive lessons of the 20th century have to be synthesised in order for us to move ahead. And three years ago we decided we must go in for political competition. Without political competition, a mechanical or metaphysical attitude will be there. So this time, what we decided is not so new. This thesis opposes the communist conception. The communist ideology wants to abolish the State and its approach is scientific, there is no time for “competition”. “There was no abrupt nor brutal transition to another system. There is a phenomenon which we have to study and think about: the working class power, the power exerted in the name of the working class and of the people, by a Communist Party which would not be alone, but which could unite other parties; that also appeared in our Xe Congress theses. 2. Acoording to Prachanda, the principle of “communist direction” is wrong. “That when we go for state power and are in power, then we will not do what Stalin or Mao did. Lenin did not have time to deal with issues of power. Although Stalin was a revolutionary, his approach, was not as scientific as it should have been, it was a little metaphysical, and then problems came. « The people started to become monotonous in the 20th century communist movement, especially after the demise of Lenin”. All that is but complete revisionism, and complete submission to the bourgeoisie propaganda, as well as to the revisionist myth of a so-called « personality worship” among Communists. 3. According to Prachanda, the Communists in Nepal should not aim at the Democratic Revolution any longer, but only at « Democracy ». “Since we belong to a communist party, our maximum goals are socialism and communism. Those are the maximum goals of all those accepting Marxism, Leninism and Maoism as philosophical and ideological assumptions. Given the international power balance and the overall economic, political and social realities of the country, we can’t attain those goals at the moment. This conception is basically wrong; it is completely similar to the trotskyist thesis of the impossibility to carry out revolution in one country. Here again, Prachanda joins Thorez’s theses: “Democracy’s progress throughout the world, in spite of rare exceptions which confirm the rule, makes it possible to consider other ways to walk towards socialism than those followed by the Russian Communists”. 4. According to Prachanda, the sole establishement of “Democracy” is enough to be “revolutionary”. 5. According to Prachanda, the Red Army does not prefigure the new State and must dissolve into a « democratic army ». “In the multiparty democracy which comes – interim government, constitutional assembly and democratic republic – we are ready to have peaceful competition with you all. Of course, people still have a doubt about us because we have an army. 6. According to Prachanda, People’s War originates from the parliamentary struggle. “For three years we struggled inside Parliament. For three years we were there. Our 40-point demands were placed but there was not even any discussion on this. So the seeds of our armed struggle were sown inside Parliament, in a manner of speaking. 7. According to Prachanda, the imperialist European countries can play a positive role. “We also wanted to send a message to the international community that we were different from the way we were being projected ideologically. For example, right now we are having discussions with the European Union and with others, but among all the international forces, U.S. imperialism is the most dogmatic and sectarian element. Characterizing the US imperialists as “dogmatic” means nothing, neither do negotiations with others imperialist forces. Prachanda’s thesis clearly links with the Three Worlds theory, a Chinese revisionist theory stating that the Third World can lean on the Second World (the medium imperialist powers such as France, Canada, etc.) to oppose the First World made of the superpowers (the USA and, at its time, the USSR). 8. According to Prachanda, fascistic China and expansionist India are interested in democracy in Nepal, to oppose the USA. “We are glad with the new situation that is emerging after Shyam Saran went to China, it seems the situation can change. Our movement is also going forward and I think in 2-3 months, if the struggle continues, then there is a real chance of ending the kingship once and for all and making a democratic republic in Nepal. Prachanda thus considers that, instead of « resting on our own strength” and serving the world revolution, he would rather reassure India and China and have no revolutionary program. That is logical in regard to the Three Worlds theory. That is straightforwardly a proposal for an alliance with the Indian expansionism! As we can see, Prachanda’s theses are in a direct line with the revisionism spread since a few time by the CPN(m); this revisionism, hiding behind “democracy”, had already been used by Thorez in France, and is now mainly embodied by the Revolutionary Communist Party of the USA. The RPCUSA, by means of the Revolutionary Internationalist Movement, certainly influenced the CPN(m). The CPRUSA leader, Bob Avakian, defends more and more openly his revisionist and “democratic” theses. According to him, Communism is one “possibility” among others, that is why he rejects the principle of “inevitability”, saying that “the world didn’t turn out the way Marx and Engels anticipated.” (January 2005, Revolutionary Worker n°1266). He pretends that “in some instances, the Bolsheviks had a kind of « Mafia » approach in some areas, especially during the civil war that followed the October 1917 Revolution.” (December 2004, RW n°1262), that there was among Communists an “autocratic” tradition in a way. That is why the RCPUSA focuses on Bush the “antidemocrat”, just like the Nepalese revisionists fight for a “genuine Democratic Republic”. That is revisionism, no more no less, denying the fact that, as part of world People’s War, it is on the contrary necessary to open more battlefronts. We understand, while seeing the RPCUSA revisionism, why the Canada RCP speaks so much about Nepal, whereas it is supposed to want People’s War in its own country, and as social contradictions within Canada are supposed to be the main aspect. The “Democratic Republic” in Nepal became the new ideal of those who already rejected Stalin and who will tomorrow exchange even the usurped flag of Marxism Leninism-Maoism against an “ultrademocrat” flag. This entry was posted in Capitalism & Bourgeois Liberalism, China, Chinese Social-Imperialism, Class Struggle, Dengism, Imperialism & Colonialism, India, Maoism, Nepal, Revisionism, Theory. Bookmark the permalink. Great article! I was also deeply concerned about the development of the nepaleese Maoists. Although you mentioned Maurice Thorez, you should also keep in mind the Italian euro”communist” approach performed by Togliatti and the PCI. It would also be interesting to hear some positions of “minor” nepaleese communist parties like the CPN-UML.